In 2010 Robert Young Pelton took his original 3? 1095 Shon Rowen-made fixed survival blade and turned it into a brutal use locking folder. He demanded the best, American made Ti aerospace grade titanium alloy and a tough synthetic, no scale frame. Then he added ELMAX and had it machined in Northern Italy the same place they make Ferraris, Lamborghinis and Ducatis. 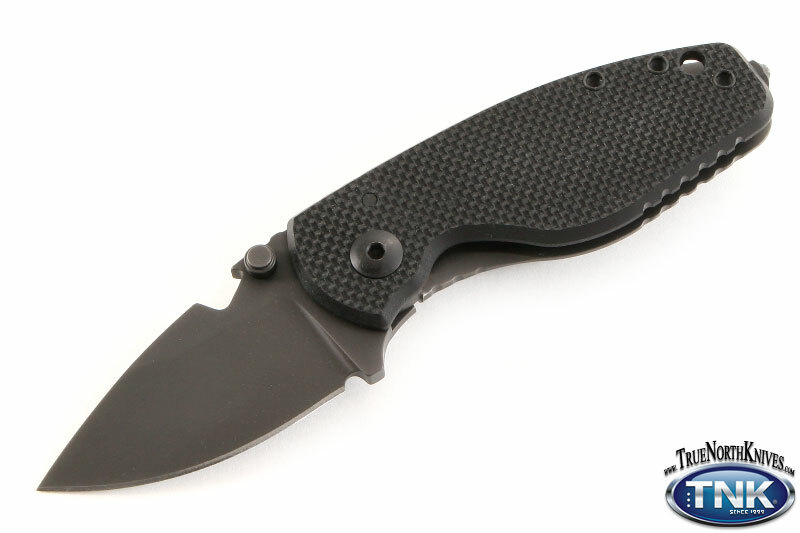 The DPx Gear HEAT/F triple blacks is as much blade as you need, in a beefy, pocket friendly package. What?s different? They dropped the blade size but not the blade thickness leaving the business end of a sword grind that snaps quickly into action. They eliminated the hex drive slot and the aluminum back spacer but kept that confident, beefy feel that HEST/F folder owners love. The DPx Gear DPx Gear HEAT/F Triple Black is as much blade as you need, in a beefy, pocket friendly package.